This webinar took place on March 8, 2017. If you missed it or want to re-watch it, just fill in the form on the right and we will send you a link with the video! 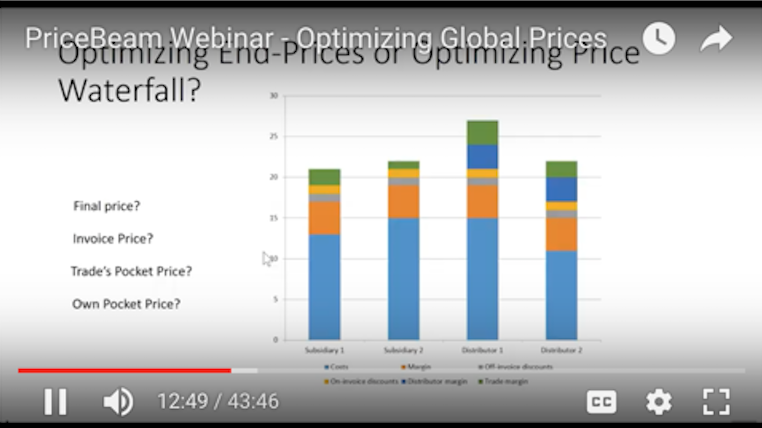 In this webinar, PriceBeam co-founder Finn Helmo Hansen will present different techniques for how to optimize prices when doing business globally. In that context, Finn will discuss advantages and disadvantages of different pricing strategies, including global pricing, local pricing and local pricing with global coordination. He will also review special cases such as when dealing with globalized customers who are able to compare prices across many countries.